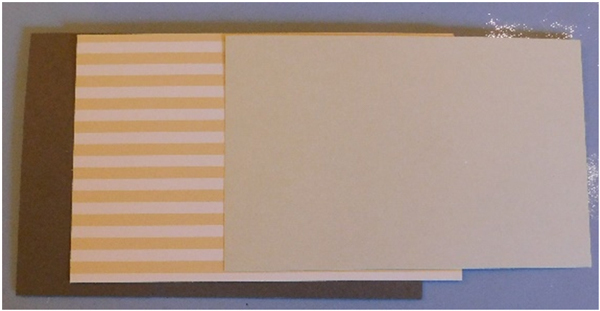 Create a 4” x 6” card base from cardstock. This base was scored at the 6” mark on a scoring board so that it folds at the top. Also, cut a 3 ¾” x 5 ¾” piece of patterned paper (Fall Dots & Stripes by Echo Park shown) and a piece of tan cardstock that measures 3 ½” x 5 ½”. Use an oval die to cut a white piece of cardstock to do the stamping on. Use two consecutive ovals to cut a frame from kraft cardstock. Lay the frame aside. 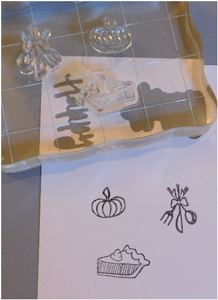 This card can be designed using two different look from the Give Thanks Pumpkin Spice Die & Stamp Set by Sizzix. Above is the first look and the second look is shown in the first picture of this tutorial. Stamp in black ink on a separate sheet of cardstock the images that you will be using and use the matching dies to cut them out with your die cut machine. Attach them to the oval cut in the earlier step using a tape runner for the first look. For the second look, stamp the images directly onto the oval. 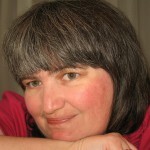 Color all of the images you will be using with your favorite colored pencils or markers. 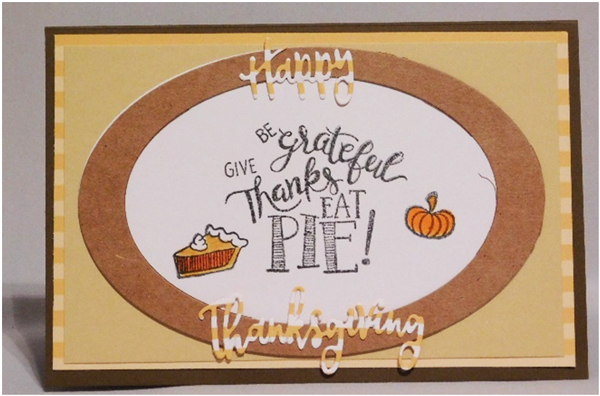 Also, die cut the “Happy Thanksgiving” sentiment from the patterned paper. 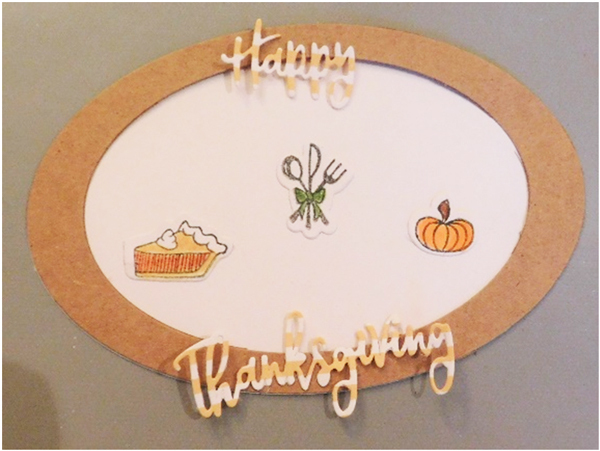 Assemble the card using the taper runner and a glue pen to attach the smaller elements. Finish by writing a special message to each person inside. You can add a piece of cardstock to the inside and decorate it, too, if you’d like for another great look. 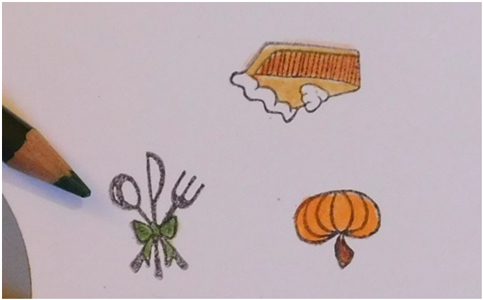 Give special “thanks” to those members of your family who have joined you this holiday by creating this thoughtful place card that they can keep and take home with them. Share why you are glad that person is a part of your life with a personal note inside the card. Pass the holiday spirit on with those in your life this year! Happy Thanksgiving everyone!